Kevin Bacon has been in the public eye for more than three decades, but the actor still finds fame and showbiz very weird. 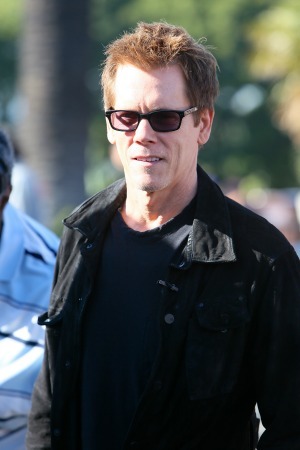 Kevin Bacon has enjoyed many years of acting success and has starred in multiple films, but he admits that even after being in the spotlight for more than three decades he still finds it strange. However, that is not to suggest that the R.I.P.D. star did not always want fame. In fact, it was fame that initially motivated him to keep going in the showbiz world. The 55-year-old actor also recently transitioned from the big screen to the small screen with his hit series The Following. Bacon revealed to Metro why he didn’t take on a role in a TV series sooner. “I am not a person who has stayed anywhere very long. In my personal life I have, but in my working life I have a suitcase that is ready to go at a moment’s notice,” he said. Things, however, have not always gone according to plan in Bacon’s career, and his life has been riddled not only with success but also with failure. However, the X-Men: First Class actor has his head screwed on straight and realized he cannot blame anyone else for the factors that have not worked out in his life.